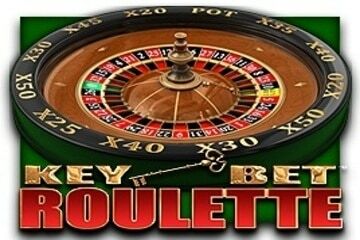 Everyone that has played games at the casino will recognize roulette. It's a simple game, but when you play you can make your bets as complex as you like, so there is fun to be had for all. Probably one of the most fascinating and intriguing games of chance of all times, Roulette, or rather a crude version of it, can be traced all the way back to Ancient Rome, when Roman soldiers used their shields for entertaining purposes. The form of Roulette that we know today first appeared in the Early Modern period of Baroque, with the invention of the Roulette Wheel. The structure and the design of the game underwent another significant change in 19th century, when brothers Blanc added a zero to the 1-36 range of numbers - after crossing the ocean and being introduced to the New Orleans gambling parlours, Roulette was once again modified to meet the demands of the casino operators in the New World. This time, double zero is added, increasing the house edge and establishing Roulette as one of the most popular games among the casino proprietors. The two main Roulette variants that you will find in pretty much every brick and mortar casino are American and French Roulette, the latter often being confused with the European Roulette. The difference between these two variations is in the range of numbers, which consequently produces a different house edge, making French Roulette more popular with the players. There are altogether 38 numbers in this version of the game, including 0 and 00, arranged in pairs of odd and even numbers and distributed across red and black table areas. Betting options are divided into Outside and Inside Bets, without a limit to the number of bets that the player can cover on a single spin. The higher advantage that the house gains in American Roulette is achieved by the already mentioned double zero category, since all the bets are lost when the ball lands on these two fields - 0 and 00. The player can of course bet on these two options, but with a significantly decreased winning chances and a much higher house edge. The first thing that you will notice when comparing French to American version is the absence of double zero, making French Roulette a preferred variant of Roulette for the majority of players. Another major difference is the table layout. The Outside bets are arranged differently in the French version of the game, placed to the left and the right side of the table, while the American Roulette table layout has all the Outside bets on one side. - En Prison, where players who wagered on Even/Odds are given the opportunity to “re-bet” on the same option one more time if the previous spin resulted in a zero. - La Partage, similar to En Prison, except that in this case players only lose 50% of the original bet if the Roulette ball landed on zero in the previous spin. Now, as gambling has expanded to the realms of cyber universe, the possibilities are practically endless, and Roulette players can easily find a number of Roulette variations in online casinos – Double Wheel, Speed, Mini, Multi, Progressive. Not to be confused with the strategic skills that one has to employ in the game of Blackjack or Poker, Roulette strategies mostly refer to betting systems, such as Martingale, Grand Martingale and James Bond Strategy. The strategies are designed to recover the player’s balance in a single spin and generate a notable profit by making the most out of the winning streaks. Therefore, they rest on the principle of increasing the stake after every losing spin. In Martingale betting strategy, the stake will be doubled, while those who employ Grand Martingale to their gameplay will double the stake and add the original amount to their overall wager. Splitting your stakes across the table is known as James Bond strategy – using this system will cover a wider range of numbers and only generate loses that should not be difficult to recover from. If you are a USA resident, Atlantic City and Las Vegas are the obvious places to start looking for the perfect Roulette table. Caesars Palace and Bellagio will certainly not disappoint with their offer, and for those who live on the East Coast, Tropicana Casino, Borgata, Golden Nugget and Caesars Atlantic City Casino will certainly give you the run for your money and provide you with possibly the best Roulette experience of your life. European casinos are more than capable of competing and residents of the Old Continent should not miss out on playing at Casino di Campione in Italy, Casino de Monte Carlo in France or The Casino at the Empire in London. If all of this is a bit out of your league, do not be discouraged – many online casinos have a separate Live Dealer offer, which enables any account holder to play at the actual casino table broadcast live from the most exclusive international resorts and brick and mortar casinos.